Non-knitters, take a break! 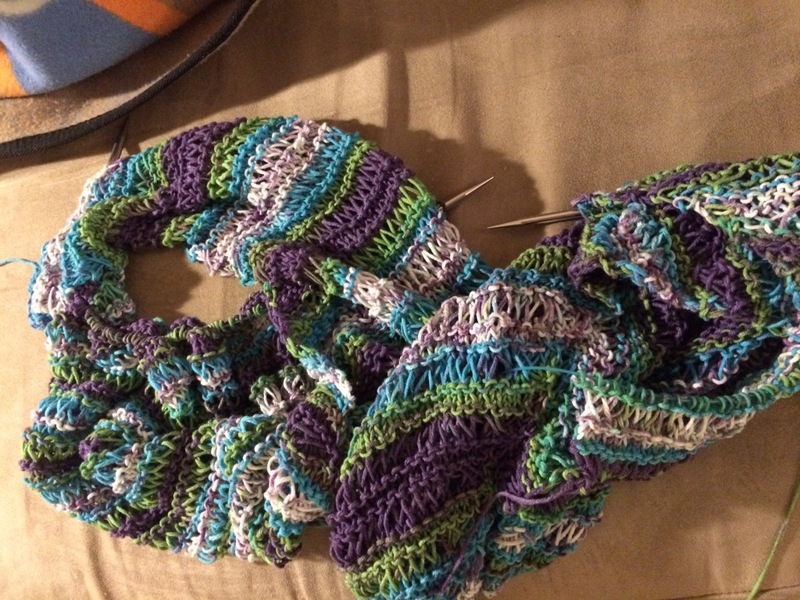 Today’s post is knitting talk heavy. Just a friendly disclaimer. Knitters, keep reading! It’s already November, which means it’s time for me to start my Christmas knitting. It’s probably more enjoyable for me to make things for people every year than it is for people to actually receive the things I make, but I do try to knit somewhat interesting (or at least practical) things for the special people in my life every year. Hence, I was excited to take a look at Laura Nelkin’s Knockout Knits, which promises “new tricks for scarves, hats, jewelry, and other accessories.” Accessories make the perfect knitted Christmas gifts, because they don’t necessarily take forever to make, and if your recipient doesn’t actually like what you made, she won’t feel like a jerk for throwing it out or never wearing it (unlike an unwanted sweater, which can haunt a closet for years). I decided to dive right in by making one of the book’s shawl patterns, the Las Cruces Shawl (I won’t say here who I’m making it for, so as not to ruin any Christmas surprises). I chose the Las Cruces Shawl because it looked pretty and the skill level required was described as “Intermediate.” I should note that I chose an intermediate-level project not necessarily because I am an intermediate level knitter (I think I’m probably inching into “advanced”/obsessive territory at this point) but because I wanted something that would go fairly quickly and wouldn’t kill me in the process, but also wouldn’t be boring or monotonous to construct. I started on the pattern and immediately (like, within the first line of the pattern) was forced to use an unfamiliar cast-on method. But that was fine, because Nelkin conveniently included a page reference number to a guide in the back of the book that includes diagrams for several increases, cast-ons, and other techniques. Handy! 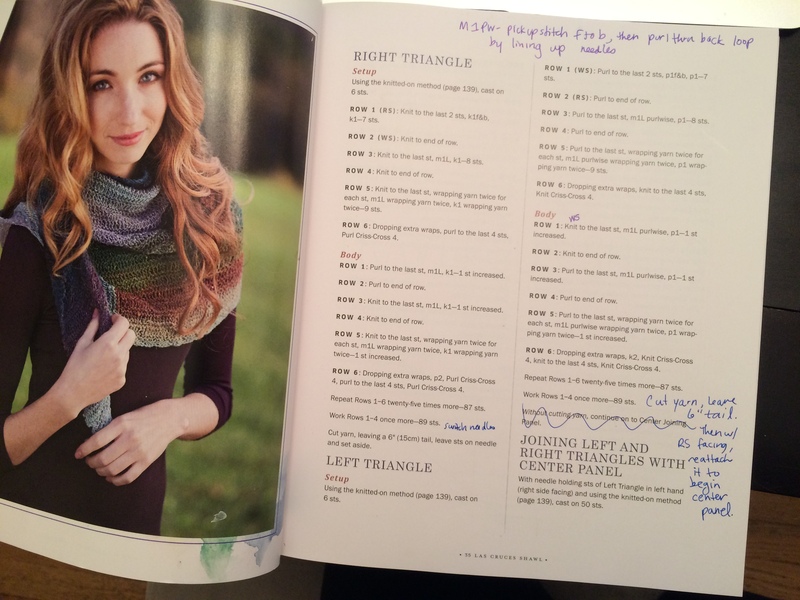 I wish more knitting books would have easy-to-use reference guides like this when they make use of not-super-common techniques. So, I cast on, started to knit, and soon encountered another technique I had never heard of. Luckily, Nelkin had that one covered, too, in the beginning of the book, where she describes (and has diagrams for) several stitch-elongating techniques. So far, so good. The shawl I’m making is constructed of two mirror-image triangles that will later be joined together via a center panel. I’ve made one triangle and am almost done with the second. I read ahead in the pattern to see how this whole center panel thing is going to work, though, and now I’m feeling nervous. The instructions on how to join the left and right triangles are scant, and in reading them, I can’t picture how it’s supposed to work, at all. *Gulp. * I went onto Nelkin’s Ravelry page in search of answers, but found none (although I did find an errata to the relevant part of the pattern, which I’m hoping will help when the time comes). So, I’m not sure how this is going to turn out. I’m hoping it’ll be one of those things where, once I start knitting, the pattern will become obvious (this often happens to me — turns out I’m kind of a learning-by-doing type person), but right now, I’m feeling a little anxious about finishing this shawl correctly. It’s too bad, since I was so pleased with how many diagrams and guides Nelkin otherwise included in the book. Why not a longer explanation about a non-obvious joining technique such as the one this pattern requires? I’ve been a serious knitter for two years and I’ve never encountered a pattern like this one before, which suggests the technique in question is not a common one, so a little more detail on how it works would have been appreciated. Apart from my unease about the instructions in the Las Cruces Shawl, I’m happy with this book (so far!). It has a lot of fun accessories patterns that I could see myself making for people this year, including some cute mitts (Prolix Mitts), a cloche hat (Folly Cloche), and a lot of nice patterns involving lace. Nelkin also has a whole section about knitting with beads, which I find both intriguing and intimidating. Maybe I’ll get to that next Christmas. I also love the look of the book and I appreciate that it’s slim and compact and fits neatly onto my already overstuffed shelf of knitting books. Hopefully the shawl will turn out okay and I’ll overcome my trepidation re: the obtuse pattern instructions. If not, at least this book will look nice on my shelf! 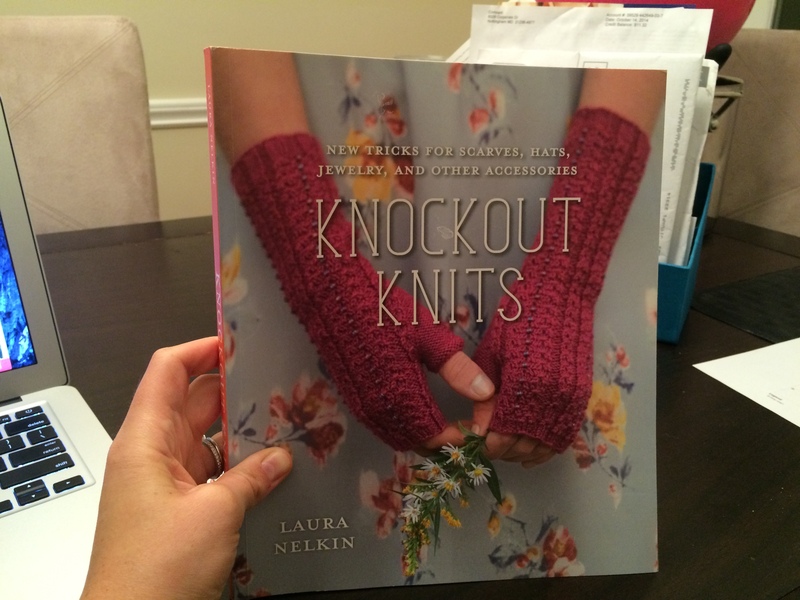 This entry was posted in Books, Crafts and tagged books, crafts, knitting, Knockout Knits, Laura Nelkin on November 13, 2014 by Stephanie.